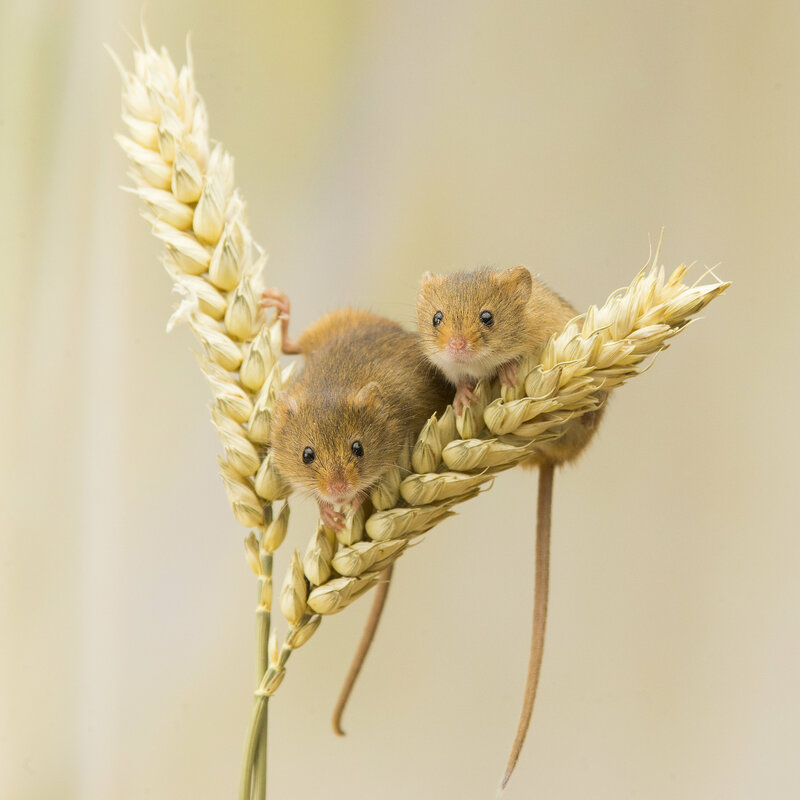 Beautiful harvest mice taken by Alex Meek in his garden in Scarborough, North Yorkshire. 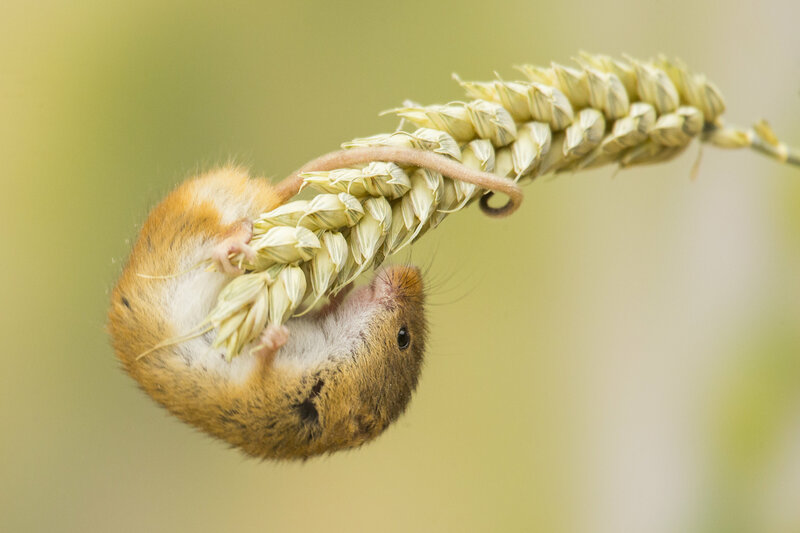 These adorable photographs show harvest mice playing around and climbing on branches of wheat and flowers in the spring sunshine. 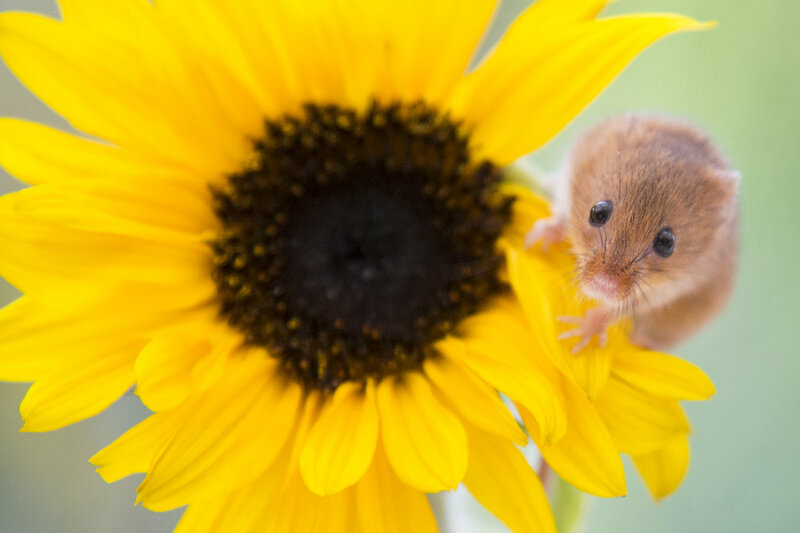 The eight mice, which are a mere three to five cm long, are owned by amateur photographer Alex Meek, 31, who loves his furry friends like his very own family. 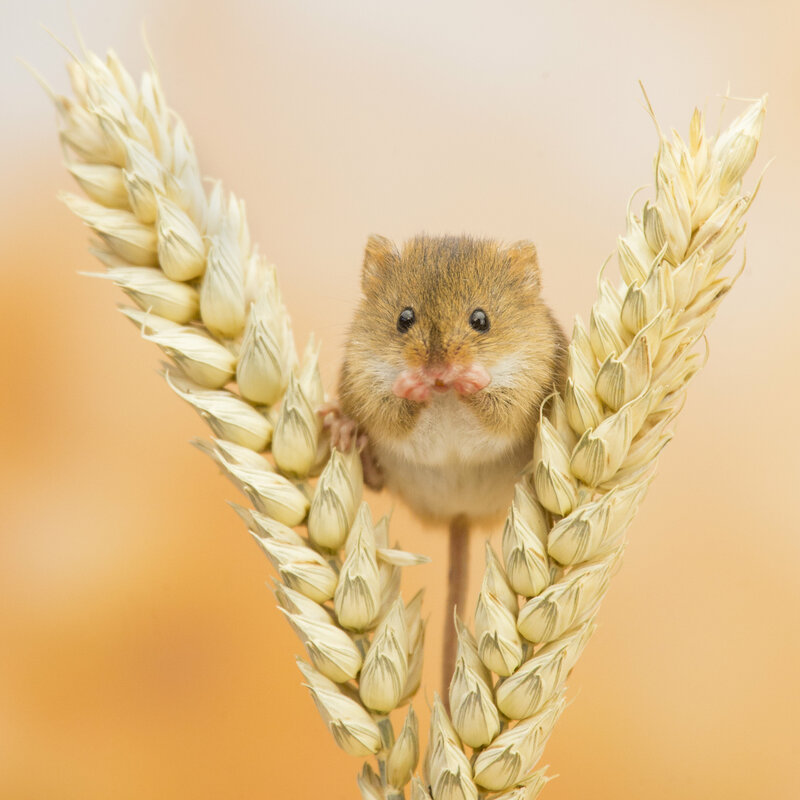 He said that the little rodents are hard to find in the wild so shot the photographs in his conservatory on last year’s wheat stalks. 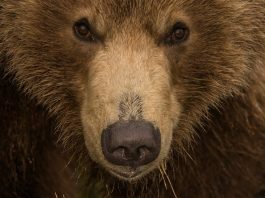 Alex said: “People absolutely love them, they can’t believe how small they actually are! 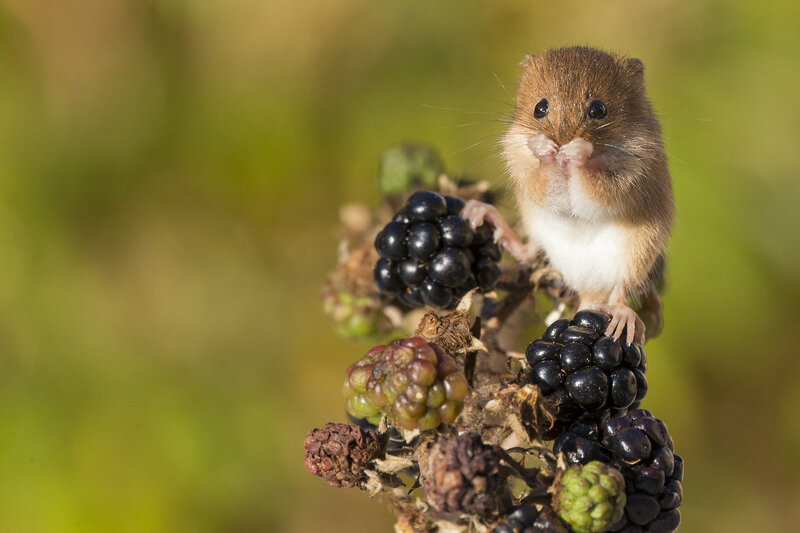 Alex, who works with medical records in his full-time job, has started carrying out photography workshops in which people can come and take pictures of his mice. One of the images shows two of the tiny mice climbing on two separate sheaves of wheat – in what looks like a postcard perfect setting. Alex said: “I can tell a couple of them apart – like, there’s Stumpy, who only has three legs, and Stumpy’s brother. The mice, which are between four and seven months old, are fed a diet of budgie seed and live in an aquarium which is 90 cm high. Most of Alex’s photos of the mice are taken either in his conservatory or his back garden where he lives with his parents in Scarborough, North Yorkshire.